There are so many things to do in and around Banff all year round. For active travelers, Banff is full of exciting adventures in the summer and winter seasons. Most Bike trails in the vicinity of Banff Village are designated for mountain biking, so be sure to take advantage on nice summer days. 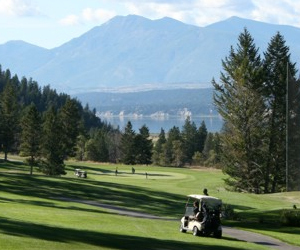 If biking is not for you, maybe you’d be more comfortable at one of the Banff area golf courses, or take a fun and exciting horseback trip instead. On colder days, or in the winter, plan a day of shopping and fine dining. Dolomite Pass in the Northern end of Banff National Park offers great backpacking adventures! Although it is accessible as a day hike, one of our favorite backpacking trips is into Dolomite Pass on the Helen Lake trail. The distance from the trailhead to the pass is about 8.9 kilometres or 5 miles. One of the fastest and easiest ways to get out of town and into the wilderness. 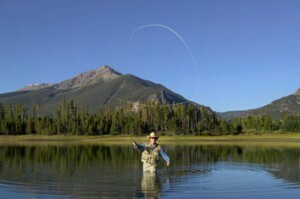 The waters of “The Upper Bow River” and the area around the of Kananaskis River offer Fly-Fishing enthusiasts several opportunities for excellent fly fishing and Dry fly activity, surrounded by spectacular scenery. 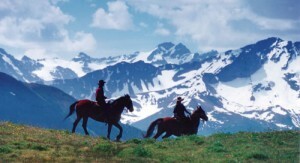 It is said that the most natural and beautiful way to experience the Canadian Rockies is on the back of a horse. The Canadian Rockies have countless miles of parks, like as Banff National Park and Jasper National Park, and public spaces like the Kananaskis country that beg for exploration on horseback. Riding is the best way to get out, see a large area of amazing country, and get a feel for what early Canadian Rockies life was really like. Some of the best downhill skiing in the world can be found in the Canadian Rockies. There are more than five world class ski areas within forty minutes from Banff and Canmore. Sunshine Village, Banff Mount Norquay, Lake Louise, Fortress Mountain and Nakiska. 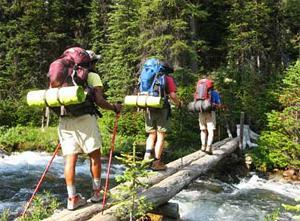 The Banff area has hundreds of natural and cultural places to see and trails to hike and backpack. We provide you with information about some of the most unique things you’ll want to be sure to see on your trip to the Canadian Rockies. Visit a 1930’s historic bathhouse and spa. Relax in the soothing, outdoor, spring-fed hot water of Banff’s upper hot springs while looking out to a view of the magnificent Canadian Rockies and Mount Rundle. The Canadian Rockies towns near Banff offer some of the world’s finest foods. There’s something for everyone, from fine dining to pizza to fancy fusion! 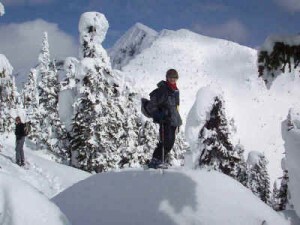 The Canadian Rockies provide a great base for corporate retreats and team building activities. Being in an inspirational and exciting place like the Canadian Rockies will allow your team members to think way out of the box. Host your corporate team building activities here! 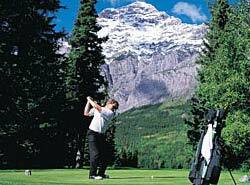 The Canadian Rockies offers lots of choices for newlyweds or any couple. Take a romantic helicopter ride over the majestic mountains. Your Honeymoon will start the moment you get here.